You answer you phone when it rings….no matter what….right? If you are serious about getting your next house to flip, you should be. Most people don’t want to be bothered with a phone outside of normal business hours. Let them lose out on the deals. Answer your phone and dramatically increase the odds of being one of the few (or, even better, the only one) that find out about a potential deal from a motivated seller. If you put yourself in the shoes of a motivated seller looking to find someone to help them out of a problem, you will realize that you want to accomplish something. If you call someone from their advertising and it goes to voicemail, you won’t feel like you’ve accomplished anything….you’re still waiting. Answer the phone and allow the seller to feel they did what they set out to do. Okay….so answering the phone is only half the battle. The other half is setting an appointment to see the house. We will get to that in a minute. Key Point: Get the appointment set before analyzing the potential deal completely. 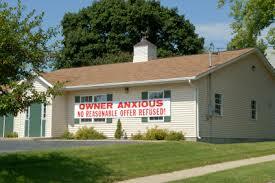 I advise setting the appointment during the initial call from the motivated seller. A deal might not be possible, but you should be able to figure that out from the numbers the seller gives you over the phone. If you are new, you might not be able to determine that, even with the numbers from the seller, BUT you still want to set the appointment to see the house. If, after hanging up the phone, you analyze the deal and determine that no deal is at all possible, you can always call them back and tell them you are sorry that you won’t be able to help them and cancel the appointment. Don’t waste your time or theirs. What is the address of the property you would like for me to make a cash offer to buy? What is your name and is this phone number the best way to contact you? How many bedrooms and bathrooms does the house have? What condition is the house in? Any major repairs or updating needed? How fast would you like to close? What these questions do is allow you to determine the level of motivation the seller has to sell. This is very important, because we as investors need to buy properties at drastically reduced prices. It’s all about the amount owed. The key thing here is the amount owed. Not the asking price. Most people won’t name the least amount they’d be willing to take from the get go. The only thing that matters is that there is room (equity) for them to be able to accept a lower offer. allowable offer will be. Then, you need to make sure the amount owed is lower than that amount (unless a short sale is a likelihood, but that’s a whole other discussion for another day). The 30% of ARV goes to cover holding, closing costs and your profit. Seller says they owe $45,000. They are asking for $75,000. After running comps or getting comps from a real estate agent, you determine the house can resell for $100,000 fixed up. If they owe $45,000, there is $25,000 in room for any possible repairs (which is pretty good). In this case, I would still go and see the house and make an offer that makes sense for me…even though the sellers are asking for $75,000. 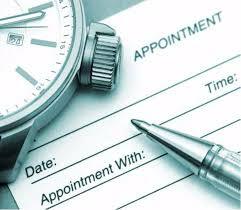 Key Point: Cancel the appointment if you don’t need the face to face experience and the amount owed is more than your maximum allowable offer. As I mentioned before, new investors should almost always make an appointment and see each house so that they can get experience for when it really matters. When a deal is not at all possible, this allows you to be more relaxed because there is no pressure since you’re not scared out of your wits that you might make a mistake. After fielding dozens of calls, you will start to notice the difference between a motivated and an unmotivated seller. And, after a while, it becomes super obvious. Once you finally get a call from a true motivated seller, you’ll know that you absolutely must hop in the car and head straight over to see the house and make your offer. You will get these calls if you stick with it and market enough. Key Point: Determining which leads deserve a face to face meeting with the seller to view the house is a bit of science. You hone your skills as you get experience. yourself. Respect the fact that the seller is likely going through some tough times. I prefer to be dressed in casual clothes (shorts and t-shirt during the hot Texas summer, believe it or not). I find that my attire and attitude allow the seller to be more at ease. If you arrive in a suit with a clipboard, you’re probably going to have a wall of protective apprehension put between you by the seller. This is not something I just say to fill the space, this comes from the experience I’ve gained talking and visiting with thousands of sellers. Key Point: Don’t tear their house apart. They know it likely needs work. While walking around the house, be sure to try to make some small talk. Don’t force it. If you can’t do it naturally, don’t try to. Over time you’ll likely build up your confidence enough to do it. I’m an introvert, so this was something I thought would be very difficult for me. Turns out, it wasn’t. I don’t know why, but I find it very easy to speak with motivated sellers. When looking at the house, your objective is to built rapport and to fill in the missing variable from the aforementioned equation: the cost to repair the house. If you are new and don’t have much experience with fixing up houses (which was me when I started), you really need to take a lot of pictures and spend time talking with investor-friendly contractors (or investors themselves) about what it costs to repair most items around a typical house. After walking through the house writing down what repairs need to be done, I will tell the seller that I need a minute to calculate my offer. I then go and sit in my car and calculate the costs. Let’s continue with the above example and say the repairs totaled to $13,000. Given our calculation from before: Max offer = $70,000 minus repairs ($13,000), we get a max offer of $57,000. Do not offer any more than $57,000. I’d go with $52,000 to start. Remember, they said they wanted $75,000 so you need to not act like you’re wishy-washy about your $52,000 offer. They need to feel that you’ve calculated what would work for you and that you aren’t going to budge much. This also builds confidence in them about your ability to actually buy their house. I find it helps to make the offer by actually writing up a contract with the amount you are offering. This way, all they have to do is sign and their house is sold. If they accept your offer, awesome. If they don’t, hopefully they will counter and you can counter back as long as it is still below your max offer. If they don’t give you a counteroffer and reject your offer, ask them if they have an amount that works for them. Most deals are not had during the initial meeting. That’s just a fact. Next, we will talk about how to make sure you will meet them again and hopefully get the deal done. 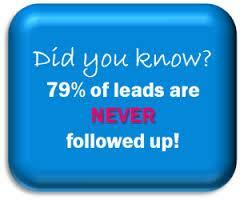 Most investors have a horrible (usually nonexistent) method of following up on leads and offers. The fact is, most deals are not done during the initial meeting and upon making the first offer. Only the most motivated of sellers will usually agree to an offer right away. You have to have a system in place to remind you to check back with sellers about the offer you made them. They may have met with as many as 5 or 10 other investors. That might seem hopeless, but you have to understand that at least half of them won’t ever follow up and some may not even make an offer. You want to be foremost in their mind when they decide they really need to sell and should decide on which investor to sell to. The investor that contacts them regularly will be that person. The system I use is to keep track of my leads, contacts, follow ups (and really everything else related to my house flipping business) is REImobile (which is the cloud-based software I’ve developed and released recently). The number of days before I follow up is usually dependent on the level of motivation the seller appears to have to sell their house. If they seem pretty motivated and are talking to several investors, I will usually call the next day. If they aren’t that motivated, or I’ve already followed up once or twice, I will set REImobile to send me a reminder 3 or 4 days out (and have it set to automatically keep reminding me until the seller either sells their house or tells me to stop bugging them). Key Point: Don’t throw away deals because you don’t follow up. FOLLOW UP! In this post, we’ve discussed how to get the most out of each lead you receive. It’s taken years to develop this process. Before I handled things this way, I was losing out on a lot of deals. Either I didn’t think sellers would accept much less than they were asking, I didn’t meet with them soon enough after they called, or I didn’t follow up when we couldn’t reach an agreement during the initial meeting. Don’t make those same mistakes. Maximize your chances of doing more and better deals by following the process I use and have outlined here. My thanks to Danny Johnson for this guest post. Danny has a very successful rehabbing business, he is an awesome blogger, a mentor and a coach. In short, he’s a busy guy. You can reach out to Danny at “Flipping Junkie”. Lots of good info. I am totally new and trying to learn as much as I can. No deals yet. I will keep reading and soaking it in. Thanks again! There is plenty to learn here Mary. Thanks for stopping by.